As a young boy in India, Sanjeev Bhanot was captivated by the saddhus, or holy men, who practiced yoga as a means to achieve spiritual enlightenment. Now a grown man, Sanjeev heads up the YOGALIFE foundation, spreading his 20-plus years of training across Europe, India and the Americas with his signature technique of using the highest quality yoga to meet the everyday demands of 21st century life. Following his childhood in the small desert town of Dungargarh, Sanjeev earned his degree in Biology and Chemistry in Rajasthan and later on studied Naturopathy in Delhi. 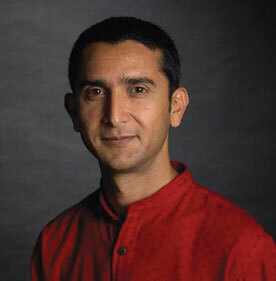 These studies resulted in the unique blend of scientific and physiological knowledge Sanjeev utilized to build the foundations for YOGALIFE, which he launched in 1999. Since then, Sanjeev has trained more than 600 teachers from 30 countries around the world and has lead workshops on three continents. His resume includes work with such prestigious organizations as the United Nations and the World Bank, along with blue-chip companies like Microsoft and Nokia/Siemens. He trained teachers for Deepak Chopra at the Chopra Center in California and coached Julia Roberts during the making of the blockbuster film Eat, Pray, Love. For nearly a decade Sanjeev has served as the yoga coach to André Borschberg, pilot and CEO of Solar Impulse. He has worked extensively with the Solar Impulse team, training pilots keep their focus under extreme environmental conditions and lack of oxygen through yoga techniques. If you feel a pleasant aura upon meeting Sanjeev, you’re not alone; his years of practice have resulted in a deep and profound intuition that goes beyond his expertise in human anatomy and psychology. 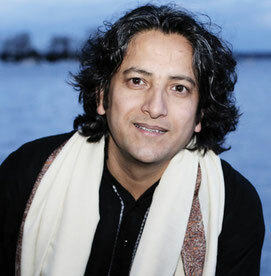 Sanjeev possesses the innate ability to see deep within a person, opening hearts to the powerful potential of Antastha Yoga, his own unique yogic style. Manoj was born into a lineage and heritage of health, Yoga and spiritual teachers. He was privileged to grow up in the right settings, which paved the way for his Yoga journey. It is difficult to say when exactly the formal introduction with Yoga took place but a few childhood pictures reveal his natural inclination at an early age. He grew up listening to Bhagavad-Gita and breathing the Hindu and Yoga philosophy. His formal education of anatomy, biochemistry and physiology contributed to his deep understanding of the physical aspect of Yoga. Manoj has the natural ability to connect with people through his intuitive psychological understanding, sense of humor and his communication skills. He is an inspiring teacher and his students simply love him. Bihar School of Yoga, Sivananda Vedanta Ashram and Yogalife Foundation are a few of the places where he got his formal Yoga education and earned his titles as Yoga Shirimani and Yoga Acharya. Manoj dedicated a few years in innovating and developing Yoga products like nasal wash pots and eye wash cups in order to revive the forgotten and distinct practices of Yoga and Shatkarma. Since 2004, Manoj started teaching Yoga and he is continuing his journey of Yoga under the flagship of Yogalife Belgium and Yogalife Foundation India. Manoj currently lives in Belgium. 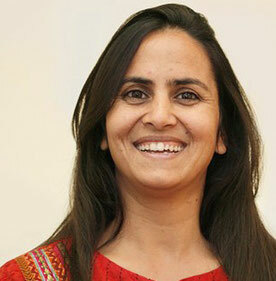 Poonam has over twenty years of experience in the field of Yoga. She studied sociology at the Post-graduate level and received Post-grauation Diploma in Yoga studies from the Bihar Yoga Bharti University in India. She moved to Geneva in 2003, where she worked as a yoga instructor and advisor to various renowned international organisations such as the UN and UNHCR. Even screen legend Julia Roberts relied on Poonam’s advice for her role in Eat, Pray, Love. Interested yoga scholars from all around the globe can train with Poonam to become a yoga instructor. Poonams ability to teach came naturally to her. Her talent is no surprise as she was born into a family of yoga teachers in Northern India. She runs Sanapurna Zentrum für Yoga & Therapie in Zürich. The words Sanapurna derive from the latin sana meaning healthy or unbroken and from the sanskrit word purna denoting whole or intact. Shweta grew up in India, where yoga was part of her every-day life. She is the youngest of 5. children, of which 4 are yoga teachers. As such she has followed regular yoga discourses, led by guru's from all over India. As a young adult she was initiated in to yoga by her Guru Swami Niranjanananda almost 10 years ago. In 2011 Shweta Bhanot has done her teachers training course (TTC) from Yogalife in the inspiring surrounding of Dharamsala. Since then she has been teaching classes in New Delhi and Belgium. 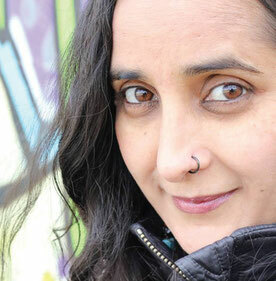 Recently Shweta was assistant- teacher at the Yogalife TTC in Ghent. Shweta is an inspiration to many happy yogis, who are always glad to return to her uplifting classes. Shweta is specialized in teaching Hatha yoga. Mica is on a path of soul-searching and self-discovery since she was very young. She grew up with the clear understanding that the journey is internal and that the universe lies within, seeing the body, mind and soul as one entity, an ancestral knowledge given to her by her indigene (argentinian native) Grandmother. Walking this trail, she approach the spiritual, energetic world. Always fascinated by the power of consciousness and the amazing self healing capabilities of the body, she learned different advanced quantum techniques, though she kept on searching for a even -for her- deeper pathway, so she discovered yoga for herself. Yoga became Micas big love: sharing and spreading this experience has become a life-calling which compelled Mica to become a Yogalife Teacher in 2014 in India with Sanjeev Bhanot. Since then she as joined Sanjeev and his Antastha Yoga as her style to expand the awareness of Yoga. She studied Art Direction and Visual Communication in Buenos Aires. 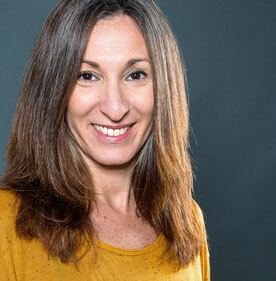 After spending many years working in major advertising agencies in Argentina and Germany, she decided to make a drastic change in her way of life. Micaela is a mom of 2 boys and founder of mutterherzen-design where she supports women on their way to her own start-up business. She teaches yoga in her hometown and is associated teacher assisting Sanjeev in his workshops and teacher trainings around the world. She is creative director responsable for the visual and social network communication of Antastha Yoga.